Kamila Shamsie, in this review for London’s Guardian, is impressed by a story of love and loss in Haiti. Edwidge Danticat was already halfway through writing Claire of the Sea Light, set in the fictional coastal town of Ville Rose in Haiti, when the 2010 earthquake devastated that country. Ville Rose, located 20 miles south of Port-au-Prince, would have been affected by the earthquake, and Danticat must have known that readers would come to the book carrying the weight of that knowledge, and that their reading would be altered by it. Some writers might have chosen to move the fictional town out of the earthquake’s range, others to write the earthquake into the book. But as Danticat explained in an interview with Guernica magazine: “At some point in the writing, even before the earthquake happened, this place I was writing about became a town on the verge of disaster.” The what-really-happened-later aspect of the book doesn’t detract from or diminish what is contained in its pages; it magnifies it. One of the great successes of this book – with its interconnected tales that bring it closer to novel than short-story collection – is how adeptly Danticat mines that “verge” for its emotional and dramatic possibilities. So many lives teeter on the brink, but not without the possibility that something might yet save them from going over the edge entirely. At the heart of the novel is the title character Claire Limyè Lanmè, or Claire of the Sea Light. A young girl whose mother died giving birth to her, Claire is the walking embodiment of the interconnectedness of life and death, hope and despair. Her father, Nozias, has been trying to convince the wealthy fabric-vendor Gaëlle to adopt Claire – not because he lacks parental love or responsibility, but because the financial circumstances of his life mean he must go away to try to earn a living, and it is impossible to take a daughter with him. The best thing he can do as a father, he feels, is to find a new parent who he trusts to look after his child. The book starts on Claire’s seventh birthday, which is also the third anniversary of Gaëlle’s daughter’s death – and after years of saying no, Gaëlle agrees to adopt Claire. Hearing the news, Claire runs away – and it isn’t until the final chapter that we discover what happens to her. In between the first and last section, Danticat leads us into the lives of other characters in Ville Rose: the fabric vendor, Gaëlle; the radio newswriter, Bernard, whose loose connection to gang members has terrible consequences for his life, and for Gaëlle’s; Bernard’s close friend, Max Junior, an affluent young man who commits a crime against the family’s cook, Flore, in order to hide a truth about himself that he shouldn’t have to conceal; Louise George, the popular radio presenter who has been having an affair with Max Junior’s father. The stories of these characters entwine further as the book progresses, until the penultimate chapter, which touches the lives of everyone – or everyone who has survived. 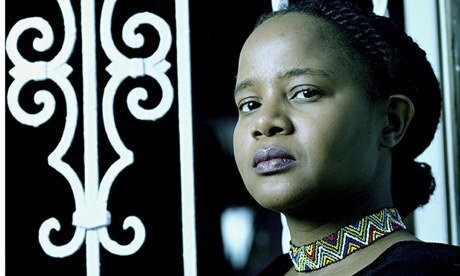 Through the different stories, Danticat shows us a town scarred by violence, corruption, class disparities and social taboo, which is also a town of hope, dreams, love and sensuality. But these are enmeshed rather than opposing elements. Love leads to violence, dreams lead to corruption. The triteness of the “for every darkness there is light” defence of places that have something rotten at their core is expertly revealed here. If the core is rotten, Danticat knows, everything beautiful will be touched by blight. Some of the finest writing in this book combines a dual sense of beauty and blight – there is a magnificent section about the pregnant Gaëlle’s fascination with the carcasses of frogs that have exploded due to the extreme heat. At night she dreams of “frog carcasses slithering into her mouth and down her throat”; by day she performs “a wordless burial for a handful of frog skins”; and all the while the only two scents that don’t make her retch are “the clammy odour of dead frogs and the inky fragrance of brand-new cloth, which she enjoyed so much that at times her husband suspected her of secretly nibbling away at their merchandise whenever she was at their fabric shop”. It is disturbing, certainly, but also captivating – which is true for the book as a whole. And don’t be fooled by the slightly fairytale quality of the woman and the frog carcasses – this is a book that draws its power from its clear-eyed look at both love and decay. • Kamila Shamsie is the author of Burnt Shadows (Bloomsbury).